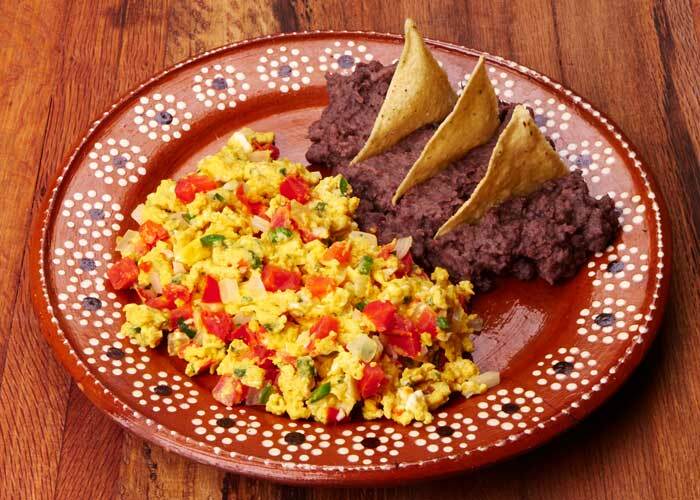 Huevo a la Mexicana is an egg dish served throughout Mexico for breakfast in homes and restaurants. Any dish in Mexico that has “a la Mexicana” in the name will always be prepared with tomato, onion and serrano chile just as this one is. The name of this dish roughly translates as “Mexican style egg.” It is delicious, inexpensive, healthy and simple to prepare. We make it at least once a week. Give it a try! Refried beans are are typically served on the side. Black beans or pinto beans are good options. Although not in the photo, you should have two or three warm corn tortillas for each person. Start by gathering all of the ingredients. The ingredients shown will make two generous servings. If you cook Mexican food frequently will already have the ingredients on hand. Serrano chiles are normally used to prepare this dish but you can substitute jalapeño chiles which are milder and get great results. 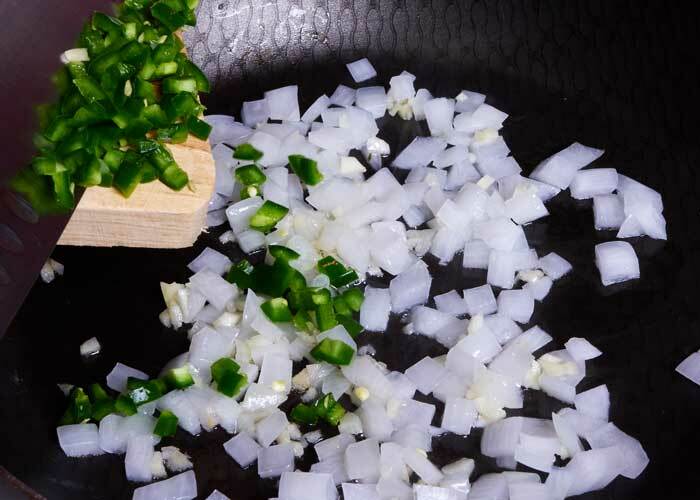 Cilantro and garlic are regional variations in this recipe. 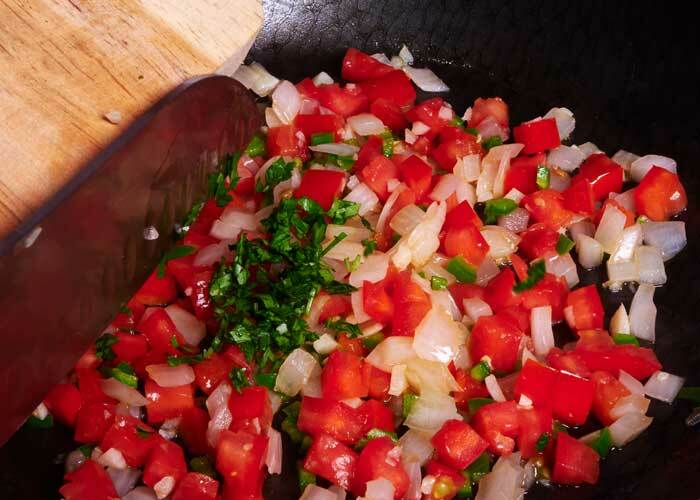 Chop the onion, tomato, serrano chile, garlic and cilantro. Heat a non-stick pan to medium. Add the cooking oil and then add the onion. Cook for 1 minute. Stir the mixture each time you add an ingredient. 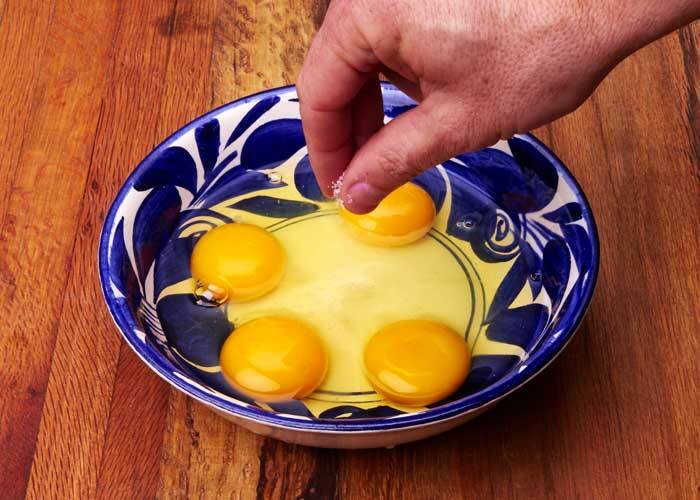 Crack four large eggs into a bowl and season with a pinch of salt. 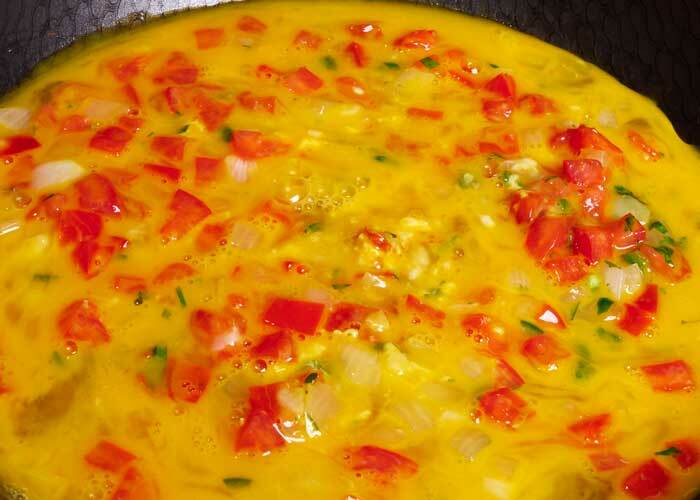 Pour the beaten eggs into your pan with the vegetables. Allow the eggs to set lightly which will take about two minutes. 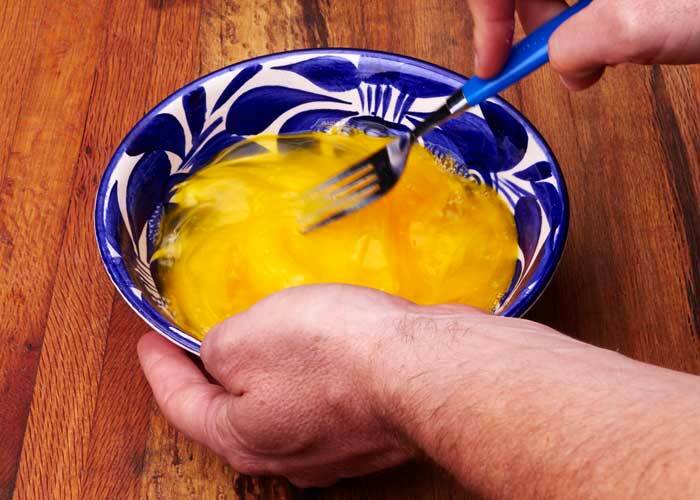 After the eggs are lightly set, stir the eggs gently until they are just cooked through. Be careful not to let the vegetables or eggs brown which really detracts from the dish. Serve the eggs immediately with some refried beans and warm corn tortillas. 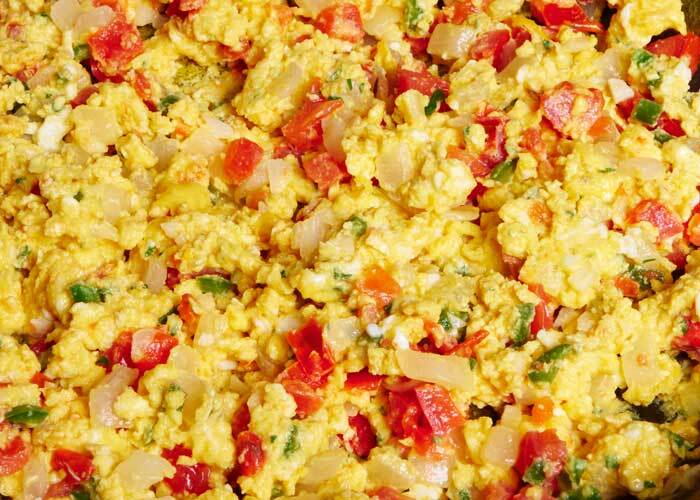 Many people like to add a few spoonfuls of salsa to their eggs. 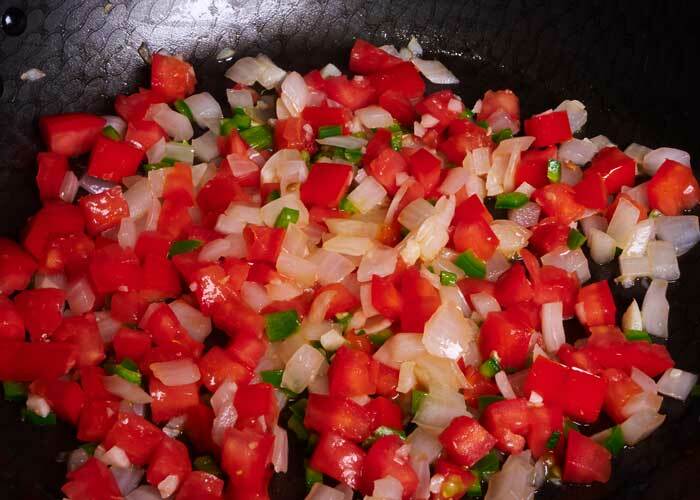 This Mexican salsa complements the dish very well. Let us know if you have any questions about how to prepare this recipe. You can contact us here. 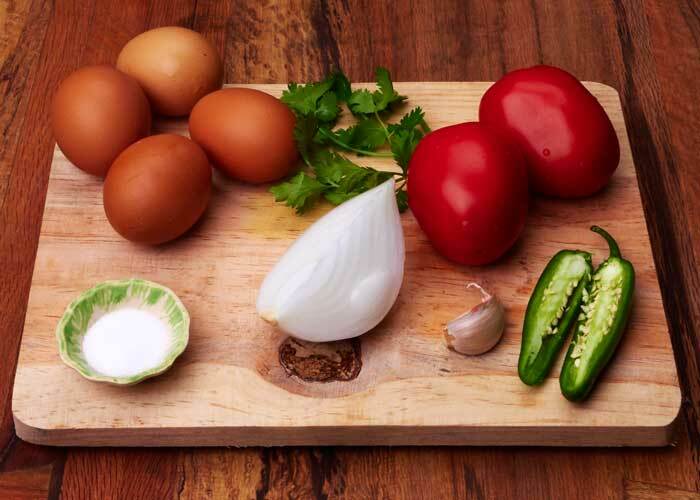 Recipe for huevo a la Mexicana, a classic Mexican breakfast dish prepared with scrambled eggs, tomato, onion and serrano chile. It is enjoyed throughout the country. Quarter the tomatoes and remove the seeds. 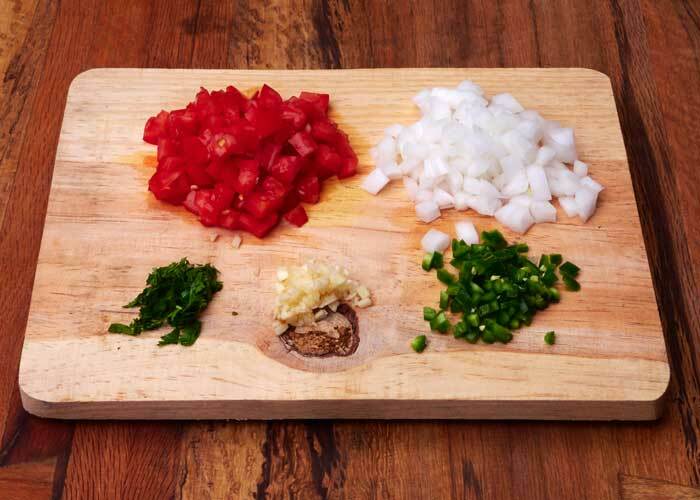 Chop the tomatoes into 1/4 inch pieces. Remove the stem, seeds and veins for the serrano chile. Finely chop the serrano chile. 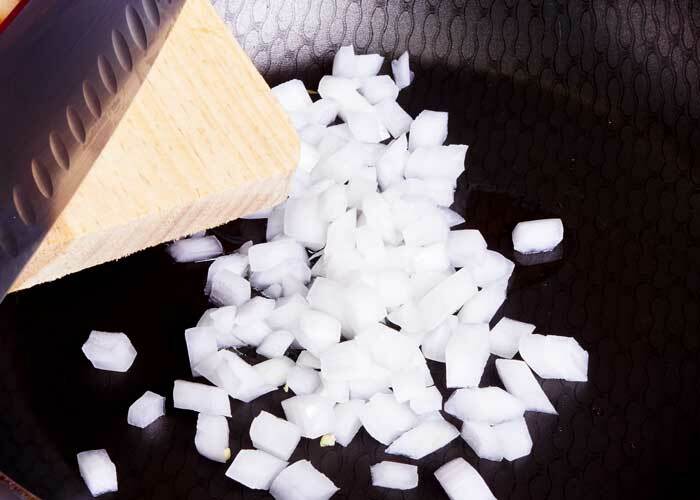 Heat a non-stick pan to medium and add 1 tablespoon of cooking oil. 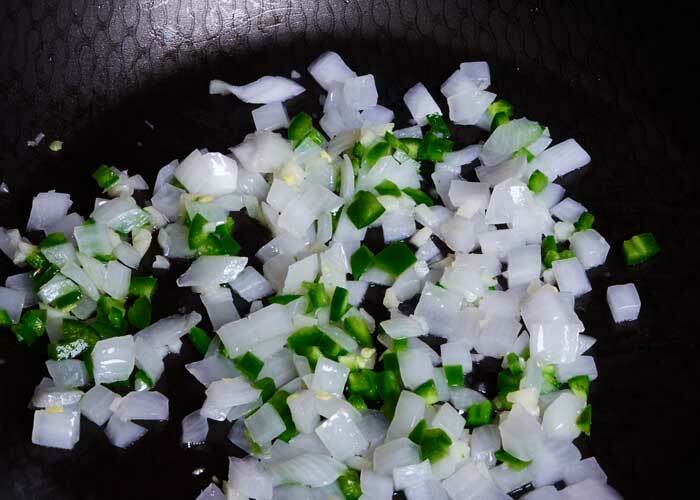 Add the chopped onion and cook for 1 minute. Add the finely chopped garlic and cook for 1 minute. Add the finely chopped serrano chile and cook for 1 minute. Add the chopped tomato and cook for 2 minutes. Add the chopped cilantro and a pinch of salt. Crack 4 large eggs into a bowl. Add the beaten eggs to the pan with the cooked vegetables. Let the eggs cook for about 2 minutes until they are lightly set. Stir the egg mixture gently until the eggs are just cooked. Adjust the salt to taste. Serve with refried beans on the side. If your eggs are very small prepare with 5 eggs instead of 4. Do not allow the vegetables or the eggs to brown. 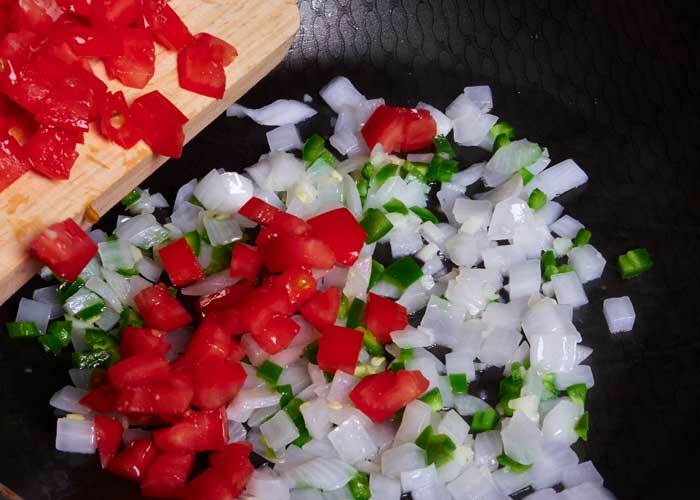 A non-stick pan works best.If you want the dish to be hotter, add 1 extra serrano chile to the recipe. If you want it to be blazing hot, add 2. You can omit the cilantro and garlic if you choose. You will still have authentic huevo a la Mexicana. You can substitute jalapeño chiles for the serranos. The dish won't be quite as hot with jalapeños but still tasty. 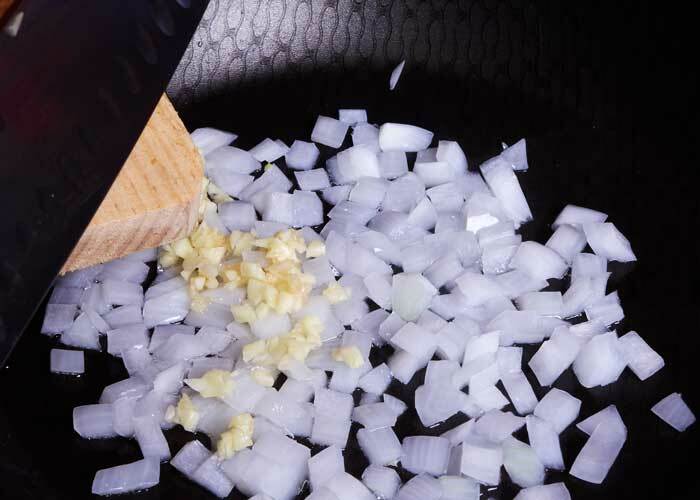 Don't substitute yellow onions for the white onions. The flavor won't be right. After almost six months after pinning this recipe I finally was able to make them. I have to say, what a taste explosion in my mouth!!! These where fabulous! And going on my breakfast rotation. I used pickled jalapenos since that was all that I had on hand, and I sprinkled a little cheese on top before serving. Love. Love. Love these! Glad you liked the recipe! 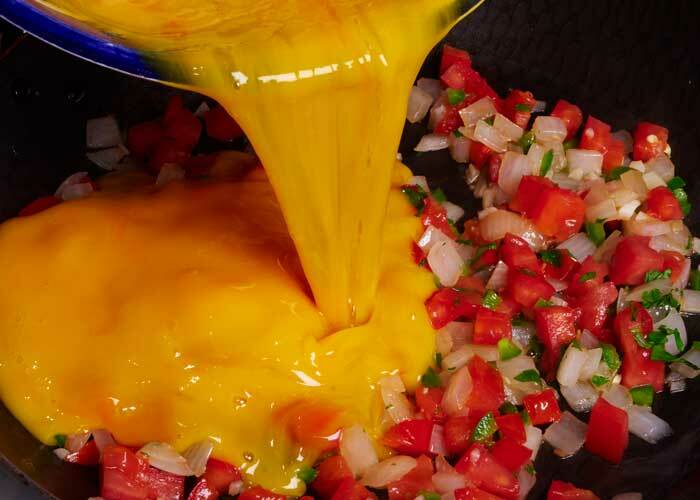 The cheese is a nice touch to add some extra flavor. Cheers! Glad you enjoyed the recipe! Cheers! in ingredients I can buy for Mexican recipes.